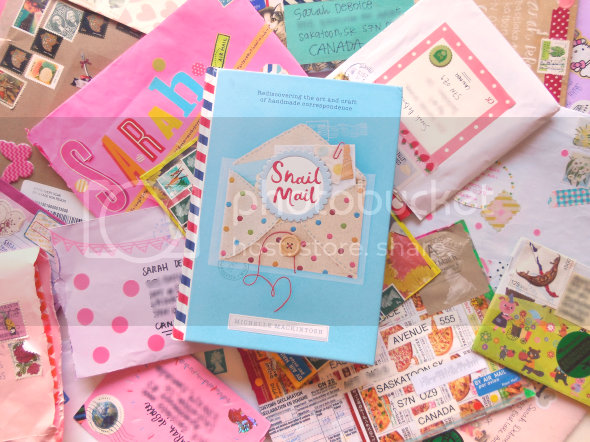 If you've been reading this blog for awhile, you'll know that I love snail mail. So when I saw Australian author Michelle Mackintosh's call for letters to include in her forthcoming book about "the art and craft of handmade correspondence," I had to partake. 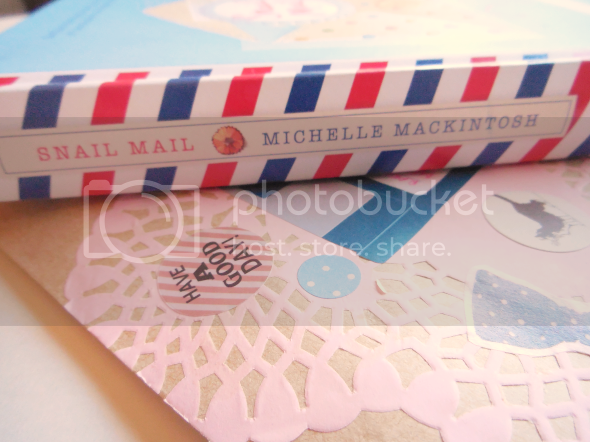 Many months after I sent Michelle a decorated envelope filled with goodies, Snail Mail arrived at my doorstep. It's one of the most beautifully designed books I've ever seen, and includes a few bits and pieces from yours truly! 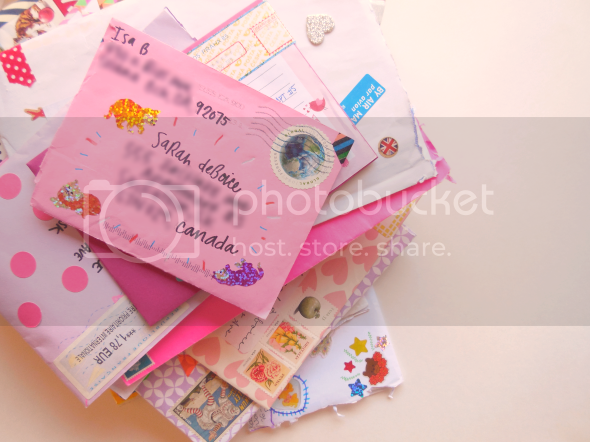 Snail mail has been my favorite creative endeavor since I was a teenager and found some of my first pen pals on LiveJournal. Today I've been mailing for over ten years! I've sent and received letters from people all over the world and have even met a few of them in real life along the way. 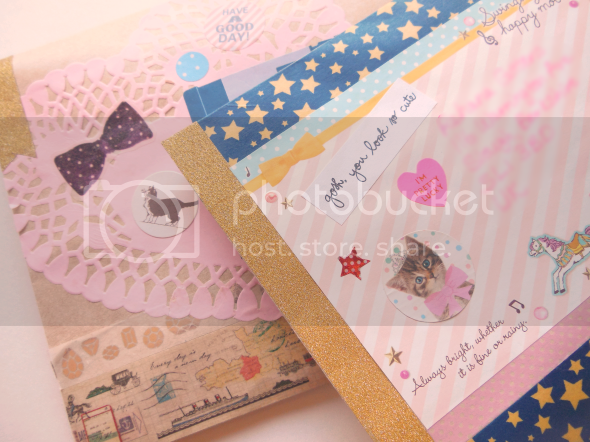 Snail Mail is a feast for the eyes and features famous letters, tips on what to write, mail art inspiration, envelope templates, sticker sheets, and much more. 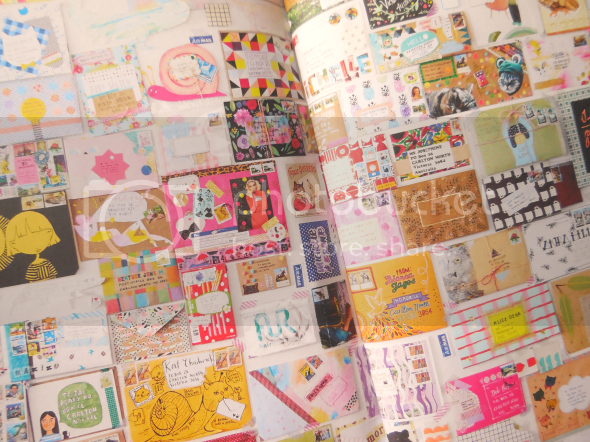 My pink envelope (left of center) even made it onto the awesome wall of letters spread! Michelle also included a little nod to the Canadian toothpick flag I sent her. I bought these up from a dollar store around Canada Day and send them to pen pals throughout the year. 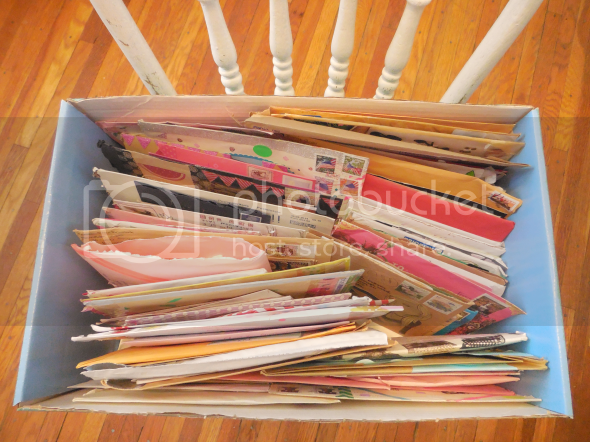 One of my most prized possessions is this big box full of mail sent to me over many years. If my house were ever burning down (God forbid - "that's dark" as my mom would say), this would definitely be the first thing I'd try to save. 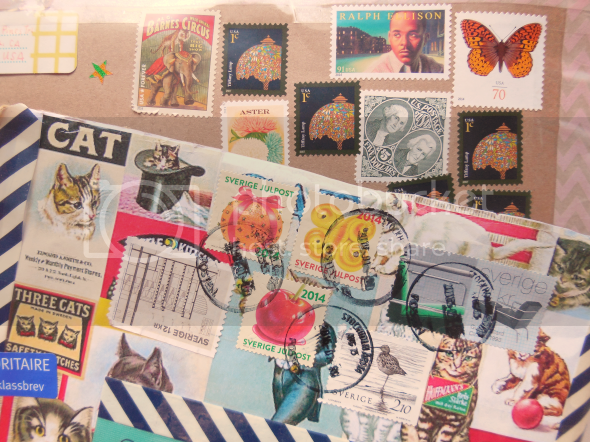 The long awaited arrival of the book inspired me to put together some envelopes with stationery I found in Vancouver. That star tape is my new favorite! 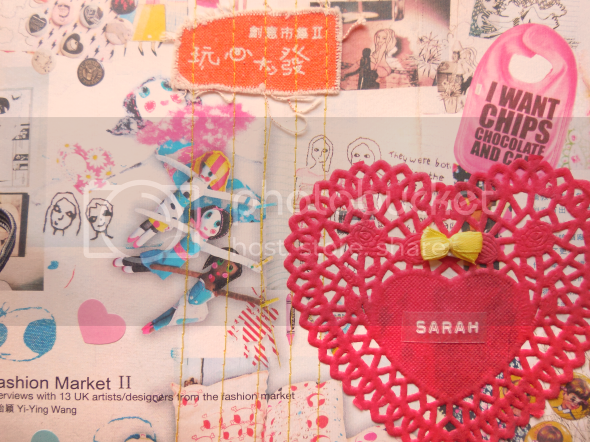 If you're into snail mail or paper crafts in general, you will surely be smitten with this book. You can order your own copy, and/or follow Michelle on Instagram. looks like a great book! awesome that your mail was in it! I loved the letter you sent me!!! I'm yet to write you a return letter, sorry!! That books looks amazing, it looks like a book I'd reach for at a bookstore because it looked so cute not too! I have no hand for arts and crafts at all but you're so good at this! 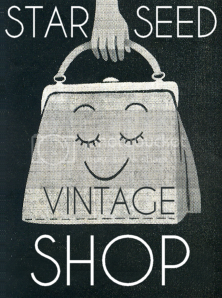 Looks like the cutest book. I recently found out about this book and was keen to buy it, even more so now knowing you're featured in it! I have to say your box of snail mail is very enviable. Such a cute and lovely photos!! Aw they are so cute!! such a lovely post! so cute :) i love writing letters but never get a chance these days! 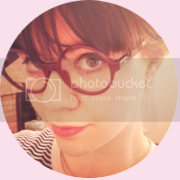 just followed your blog, can't wait to see more from you! 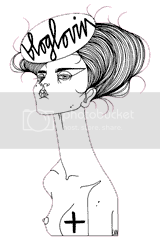 Wow, these designs are so fun and beautiful, thanks for sharing! 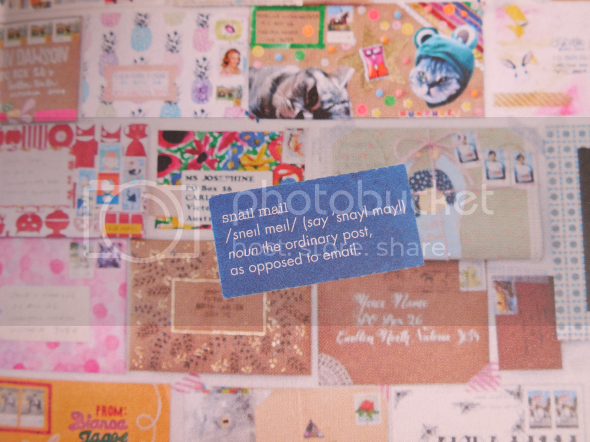 I definitely need to start decorating my snail mails more, these are super nice! You are master of packing letters! Oh wow what a great little book for inspiration! 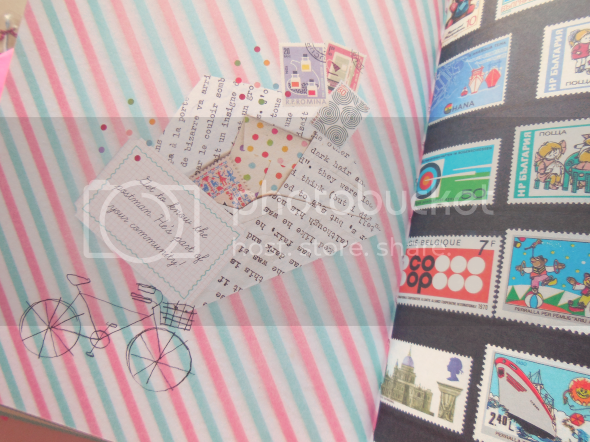 I used to love writing letters and creating pretty snail mail sounds like so much fun! Aw that's so cute! I wish I had a penpal so I can start doing that, because it sounds like so much fun! 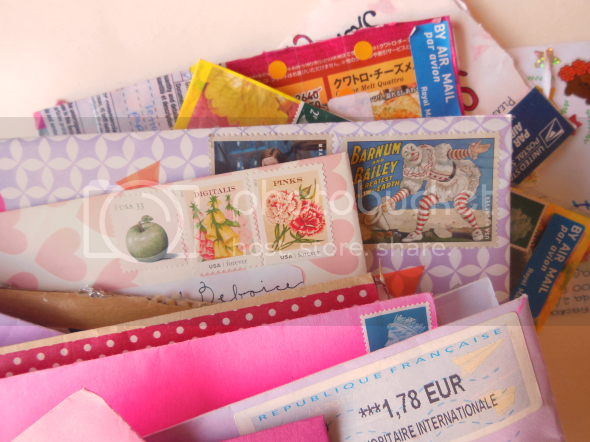 Oh, I love that collection of envelopes - soooo cool! This books loos so great! Ah what an amazing idea. I have an obsession with envelopes and decorating them before I send them. So this is really cool. I really like it.